Arsene Wenger says he has a ‘clear mind’ about his Arsenal future, but is keeping his cards close to his chest for now. The Frenchman has yet to sign a new contract at the Emirates Stadium, but he is optimistic that his star players Alexis Sanchez and Mesut Ozil will. 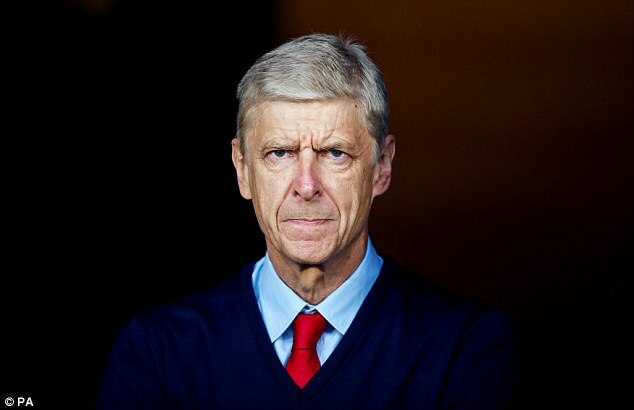 Speaking ahead of Sunday’s crucial home match against Manchester City, Wenger was again reluctant to reveal his thinking about whether he’ll still be in the hotseat next season. He said: ‘I am very clear in my mind. Do I stay two months or two years, my commitment will be exactly the same. 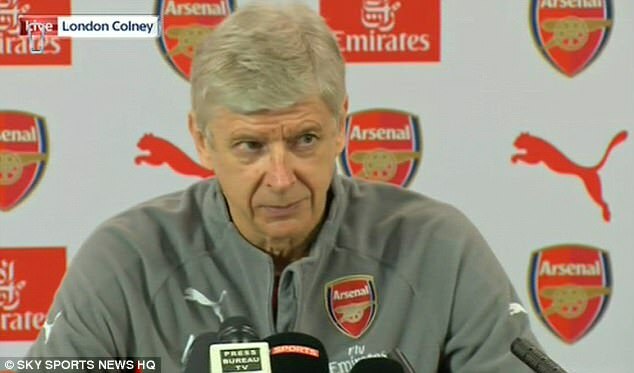 Wenger was asked whether the two weeks of the international break had involved a period of soul-searching over his future, but he insisted he’d only been focused on the City game and a crunch run of April fixtures. He joked to journalists that they should keep on asking the question about his future and ‘one day I will answer it’. He struck a positive tone about securing the future of Sanchez, following remarks the Chilean made after their recent World Cup 2018 qualifiers suggesting he was happy in London. 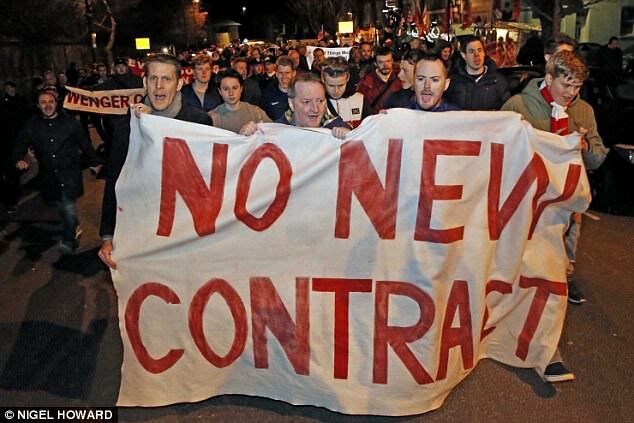 Wenger said: ‘[I interpreted the comments] in a very positive way, there is only one team in London so he is happy. I do not have a lot to add. 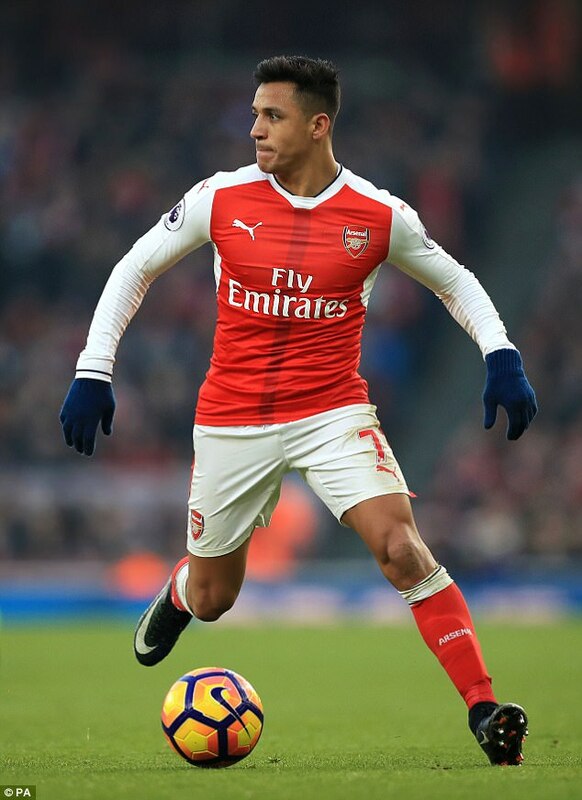 Wenger added that because Sanchez still has one-and-a-half years to run on his contract, it is not an ‘immediate concern’ for the club, even though a number of clubs are interested in signing him for a hefty sum this summer. 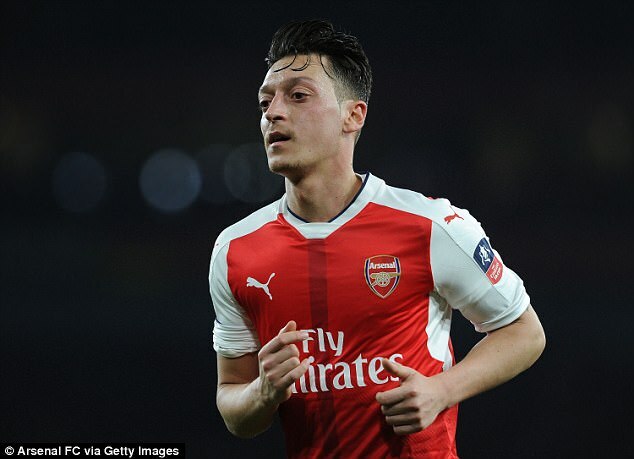 On Ozil, who returned for action for Germany against Azerbaijan at the weekend following a hamstring injury and illness, he said: ‘He is not out of contract at the end of this season. A torrid March has seen Arsenal lost 3-1 at both Liverpool and West Bromwich Albion, and crash out of the Champions League at the hands of Bayern Munich, who thrashed them 10-2 on aggregate. They face two important home games in the Premier League this week, against City and then West Ham, before away trips to Crystal Palace and Middlesbrough. At present, they are sixth in the table, six points off fourth-placed Liverpool but with two matches still in hand. 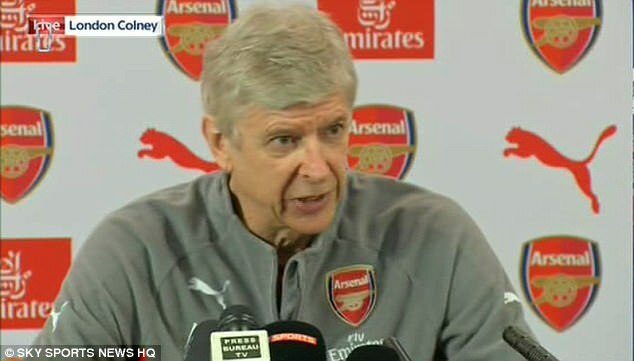 Wenger said: ‘Our season will be decided by the next two mnonths but as well by the ability and strength we can show together to fight and come back. 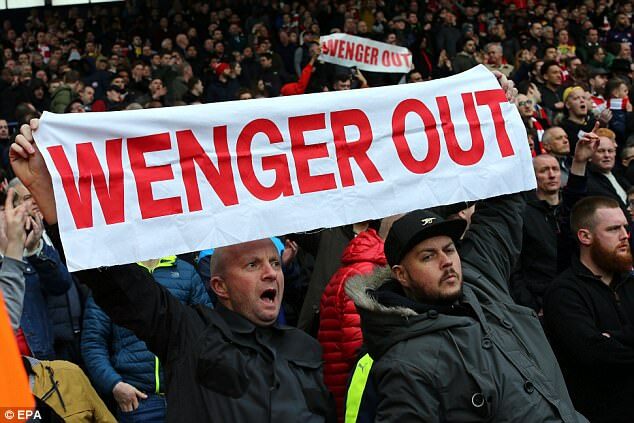 If he stays beyond the end of the season, Wenger suggested that the squad will be strengthened in the summer. He said: ‘It is a strange season, we played 20 games unbeaten and our offensive numbers were very good but I cannot sit here and say we have no flaws or weakeness in our team, because we have. Wenger said that although Ozil is set to return, they will be without goalkeeper Petr Cech and forward Lucas Perez against City.